San Diego's Premier Source for Tile, Stone, Flooring & More! James and the Carrolls Hardwood Flooring team have over 40 years of experience in the trade, with a vast knowledge of every aspect of the job. With an in-home consultation, we will assist you with every step of the flooring process - from product selection all the way to installation. We will work together on your small condo or your custom home. We pride ourselves on excellent communication to ensure your flooring dreams come true. Contact us to set up a time to talk about your project - we'll bring the samples to you! 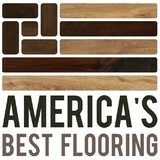 Floor Store is a locally owned full-service flooring provider offering products and installation. We offer two convenient locations in Encinitas and Point Loma. Our knowledgeable sales staff aims to ease the stress of tackling a home improvement project. We don't want you to overpay for flooring at the big-box flooring chains or home improvement stores. We offer a unique shopping experience. We have a welcoming and casual environment offering our customers wine or coffee, allowing pets to come inside, talk about their families, and genuinely make them feel at home. We keep our overhead low so we can offer you the most competitive pricing. In fact, we make every effort to beat most written estimates. We know it's important to consider your budget and the specific needs of your home. We take pride in educating you on the available flooring options. We offer every customer a no obligation free in-home design consultations. Call us today to get started on your next flooring project! DUCHATEAU offers sophisticated, luxurious home interior design products and services to create the ultimate lifestyle experience for those in search of the extraordinary, including wide plank hardwood floors, decor, furniture and doors, cabinets and wall covers...an array of options to fulfill all of your desires. 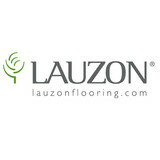 Since inception, the company has been at the forefront of innovation by using its unique patent pending finishing methods in the wood flooring industry and is proud to be sold internationally and used by some of the most well respected brands including Whole Foods, Saks Fifth Avenue, Augusta National Golf Club, Ian Schrager hotels, and The Ritz Carlton. Flooret is a refreshingly transparent flooring company, offering premium vinyl floors at factory direct prices to give customers the greatest quality for the lowest cost. The internet has dramatically changed numerous industries and Flooret aims to do just that by finally breaking the traditional mold. We are taking a stand against unnecessary markups as floors travel from factory to brand to distributor to retailer and finally to you at upwards of 600% the original factory price. You will not find hundreds of options on our site either. We take pride in our floors, cut no corners, and select only the best. Our specs are second to none in the industry for both residential and commercial use. Using the internet as our showroom along with direct mail sample boxes, Flooret makes selecting and purchasing floors more enjoyable and stress free than ever before. With over 30 years of experience, McQuaid Flooring is the leader in the supply and installation of hardwood, engineered wood, and laminate flooring in San Diego County. In addition to flooring, we also provide exceptional baseboard, crown molding, and wall paneling services. We are passionate about delivering an exceptional experience and providing you with top quality products, professionally installed, on time and within budget. McQuaid Flooring is a team of professionals who are trained and skilled in delivering the most innovative and cutting edge designs. We work with building contractors in commercial, residential, and hospitality markets, as well as with the best interior designers in San Diego. We believe in partnership and trust, and will work with you to create your perfect space. From the initial consultation to installation completion, we consider ourselves humble guests in your home or office, and will treat your space with respect. *Authorized Bona Certified Craftsman* Providing Eco-Friendly floors at competitive prices for you living and work environments. At Green Life Construction we pride ourselves in providing quality flooring products and services at any budget, from full custom finish on site solid hardwood floors to allergen reducing laminate floors at very affordable rates. We strive to be your first choice in quality flooring options. We are proud to be NWFA Certified, as well as Bona Certified Craftsman. Green Life offers our services nationally and internationally. If you have a custom project we are happy to come to you! 28 Years serving the community with the finest in wool and nylon carpets as well as hardwood flooring. Now featuring Schumacher Fabrics, Norbar, Novel, Texture, Allure, as well as other name brands. We believe in sharing our knowledge of product so our clients can make the best informed decision to make their purchase. Top Flooring is installer owned and operated by licensed contractor Chuck Nettnin. Chuck has 30 collective years working in the construction and hardwood flooring industry. Whether your project is residential or commercial, you can be sure the installation is in good hands. At Top Flooring, we help guide our customers in finding the perfect floor covering that meets their needs and fits their lifestyles. We offer our customers with a wide range of hardwood, laminate, LVT and tile flooring choices in our unique uptown showroom. Because Top Flooring is installer/ contractor owned and operated, we understand that no two projects are ever alike. Our goal is to leave our clients with the highest level quality of installation possible. We provide mobile consultations with product education to ensure you are fully informed about your options and we offer warranty guarantees on all our installations. Our mobile vehicle is designed to make choosing a hardwood or laminate floor to match your home convenient and fun. Being honest and reliable while keeping our prices competitive allows our customers to have a beautiful floor without sacrificing quality or attention to detail. Our showroom provides you with the latest trending hardwood styles, Laminate, and luxury vinyl tile. We also carry wool, nylon and recycled carpet, tile and other unique green flooring products to help you make an informed decision without being overwhelmed. Over the past 30 years, Mik and I have been fortunate enough to work directly with some of the top Realtor, designers and contractors in San Diego. They really rely on our personalized service to make them look good when they refer their clients to us. We are your FRIENDLY Flooring Solution serving San Diego county since 2004. Our KNOWLEDGEABLE and HONEST staff has over 40 years of flooring experience to help guide your flooring needs. Whether you have your own installer or a D.I.Y project or need a supervised full service installation. We offer free professional and prompt consultations, quotes & estimates. Our philosophy is that we are in the business of helping people create beautiful homes, and beautiful homes begin with beautiful floors. Gustavo and his staff at Flooring Creations use easy to understand decor principles to help you find wood flooring, vinyl plank, tile (wood & stone looks), carpet, laminate, shower wall tile & accent materials. We have a beautiful selection of materials to meet your wants and needs! 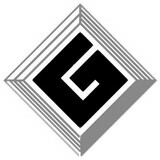 Come in today and experience what good genuine help is let the famous Gus's (father & son) help you find your next floor. Flooring Creations, Inc. was founded by Gustavo Morgutia, Gus started in flooring at the young age of 16 as a helper on a carpet crew. This coincidence led to several ventures within the flooring industry, each bringing him closer to his goal of owning his own retail store. 32 years later, Flooring Creations, Inc. has the experience and philosophy of it’s founder. This experience covers decor, installation, product knowledge and most importantly a passion for helping customers versus trying to sell them. “I never realized that my job was so simple, once I learned to help people everything else just seemed to fall into place”. Come on in and experience what real genuine help is like. We focus on helping you decorate with flooring. Call before you come in to get some tips on making your visit to the showroom more effective. All Floors & Finishes is San Diego's newest full services floor covering store. Centrally located in Poway, All Floors & Finishes services all of San Diego County. From South County to North County, the beach to the mountains, there isn't anywhere that we will not estimate and install. All Floors & Finishes is your one stop shop for all flooring surfaces including but not limited to: Carpet, Engineered Hardwood, Laminate, Vinyl Plank, Ceramic & Porcelain Tile, Natural Stone, and Slate. Our experienced design team and crafted installers have been working in the industry for over 17 years and has everything it takes to help you create the perfect flooring design that fits your families needs and budget! We encourage our customers to pick the right product for them so if you find something online or at one of our competitors that you do not find in our showroom please let us know. We will not be undersold, so also ask us about our price match program! Picking flooring should not be stressful! Being a family owned and operated business we are able to give each customer the time and resources they need to have a pleasant shopping experience. Pacific Edge Flooring understands that your new floor is more than just another addition to your home its HUGE part of your home. It can be art, it will set the mood and tone of any room in your house. By Using our knowledge in sanding and refinishing along with skills in hardwood installation and design, we can assure you for a beautiful outcome. One of are main focuses is customer service and building a lasting relationship with each one of our customers. We want to do the best job we can do each day. We look forward to meeting you! What kinds of services do hardwood flooring installation professionals in Bonita, CA provide? Find hardwood floor experts in Bonita, CA on Houzz. Search the Professionals section for Bonita, CA hardwood flooring installers and dealers or browse Bonita, CA photos of completed installations and look for the professional’s contact information.